Pair of black varnished wooden Rennie chairs designed by Kazuhide Takahama (Japanese architect) for Simon Gavina International Italy, 1972. 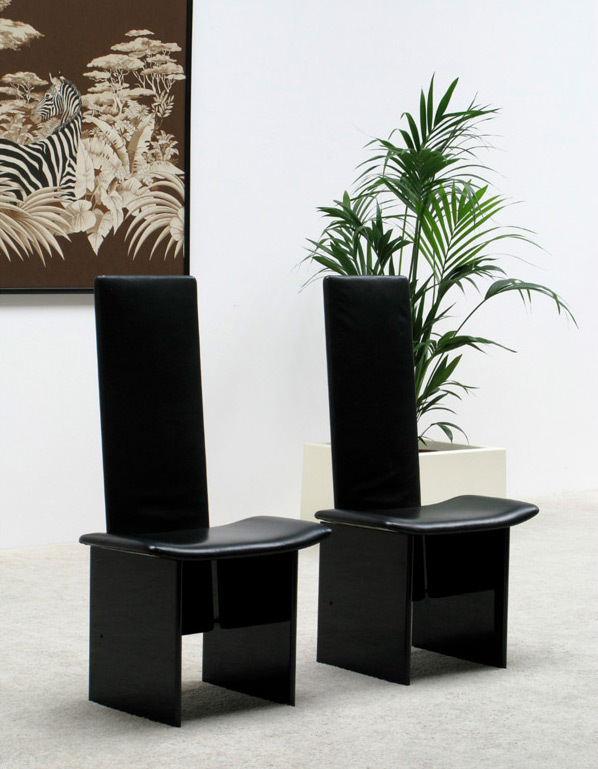 Constructivist designed chairs with high backrest and recovered in black leather. Paire de chaises en bois verni noir modèle Rennie, conçu par Kazuhide Takahama (architecte japonais) pour Simon Gavina Italie International, 1972. Chaises constructiviste avec dossier haut recouvert de cuir noir.